As of July 2017, my work is now being represented by ZK Gallery in San Francisco. ZK Gallery aims to deliver a fresh perspective on contemporary art. Founded in 2014, ZK Gallery presents a highly notable collection of works by local and international contemporary artists. Their space introduces traditional and hybrid media, oil painting, drawing, printmaking, sculpture and photography. Visit the wonderful gallery space at 213 Jefferson St, San Francisco, CA 94133, or follow @zk_gallery on Instagram. 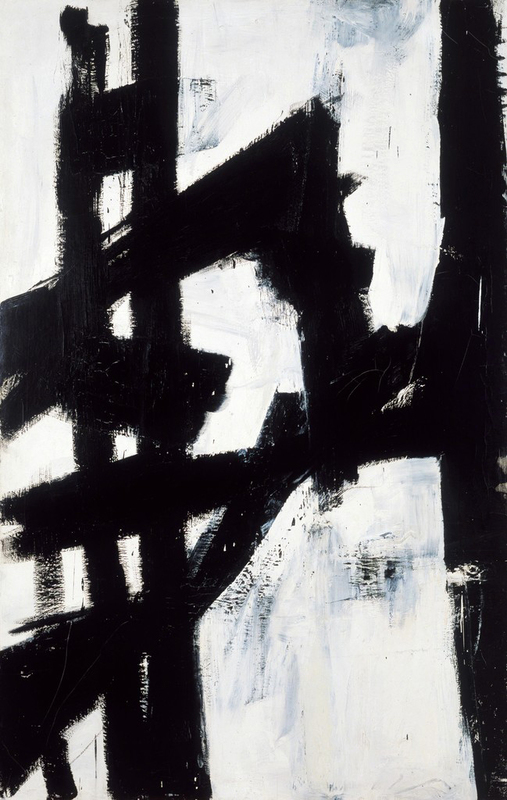 Franz Kline (1910 – 1962) was an American Abstract Expressionist known for his distinctive monochromatic paintings. His use of broad black brushstrokes slashed through white canvases in calculated compositions distinguished him from other artists of his generation. Kline studied painting at Boston University and illustration at the Heatherley School of Fine Art in London during the 1930s. After moving to New York in 1938, he befriended Willem de Kooning who introduced the realist painter to abstraction. Kline’s mature works are characterized by thick layers of black-and-white pigments applied with aggressively energetic lines. He died on May 13, 1962 in New York, NY of heart failure at the age of 51. Today, the artist’s works are held in the collections of The Museum of Modern Art in New York, the Art Institute of Chicago, the Peggy Guggenheim Collection in Venice, and the Tate Gallery in London, among others.